Australia has a surprisingly long and rich history of publishing and reading supernatural and horror fiction. From the mid-nineteenth century, when magazines and periodicals began to be published in large numbers, there was a wide reading public for tales of romance, adventure, crime and horror. 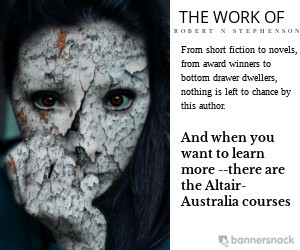 This section provides a checklist of Australian fantasy and horror fiction up to 1960, which will provide the interested reader with a useful starting point for exploring Australia’s dark past.